It’s not easy keeping track of everything you need to bring to your next assignment, especially when that assignment keeps you from home around the holidays. We created this checklist to help you prepare for your assignment, plan what to buy when you arrive to your new location and even provide tips on sending gifts during the holidays. 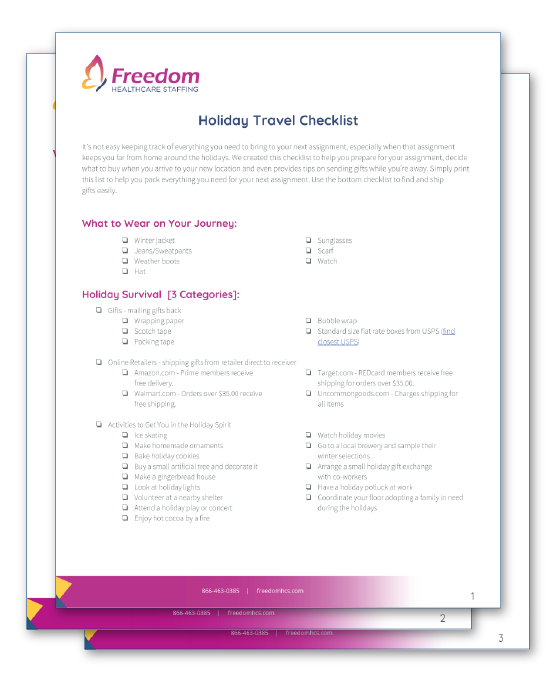 Download our checklist and get started on the right foot this holiday season!